For the last decade foster care and adoption has been on the rise in Ukraine, as the need for caring for orphans and vulnerable children has been recognized by the Evangelical community. Evidence of this growth was seen at the recent 2018 Strengthening Families Conference in Kyiv, Ukraine, which hosted over 200 foster and adoptive parents for a weekend of teaching, refreshment and encouragement. We are in awe at how God has MOVED and acted on behalf of vulnerable children. Krish Kandiah, Home for Good: "Families of vulnerable children often feel unwelcome in their own churches. Here are five ways to change that." 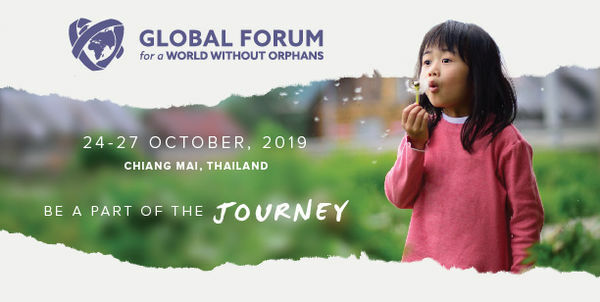 We are excited to announce the Global Forum for a World Without Orphans 2019, which will be held on 24-27 October 2019 in Chiang Mai, Thailand. This will be a strategic gathering for the global Church in advancing efforts to end ‘orphanhood’ and to ensure that all children grow up in safe, stable, and nurturing families.